What Contributes to Your Grammar Lapses? No one is perfect, and I bet that even sticklers for grammar make lapses now and then. The good old principles of the dynamism of language and Mere Exposure Theory are at work here. I have to admit that I can think of some people who won’t want to admit that publicly, though. Over the weekend, I was catching up on some Elementary, a TV series with a modern take on Sherlock Holmes. 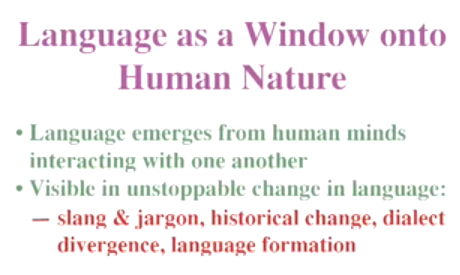 I was again made aware of how language evolves. In this particular episode, Sherlock is revealed to use text speak when sending text messages. While I make it a point to avoid that myself, I have to admit that there are times when I find myself shortening words. Whether it’s laziness or a quest for efficient texting, some will find it unacceptable. What I’m getting at is that there are so many factors that can contribute to improper grammar. I’ve identified three. Let me know what you think. Undoubtedly, hearing – and singing – songs like these two can easily, gently nudge us toward the world of improper grammar. Unless we’re vigilant. Then again, as I said before, Sting’s songs are just too fun to correct and then sing along to! I don’t watch a lot of TV, but when I do, it’s hard to ignore the grammar mistakes found left and right. I swear, I even heard Dr. Sheldon Cooper make a mistake at some point! I wish I had written it down because I cannot remember it, but I was so aghast to see a chink in the armor of that character! Can you think of TV show characters, news anchors, DJs, and other media personalities who might be contributing to the grammar lapses of their viewers? This is not a new debate. Tech speak and texting have been blamed so many times for the decline of the use of proper grammar. Researchers have not arrived at an unshakeable conclusion, though. Here’s an infographic which leans toward the idea that tech speak is to blame. Those are pretty convincing arguments, but I still believe that there’s a place and time for everything – including tech speak. That does not mean that I don’t see the dangers in getting into the habit of using such language! How about you? Do you agree with these “bad grammar bears”? Do you have any other negative influencers on your list? Common Crutch Words. What’s Yours? This morning, I just read – again – an old article published by The Atlantic Wire. 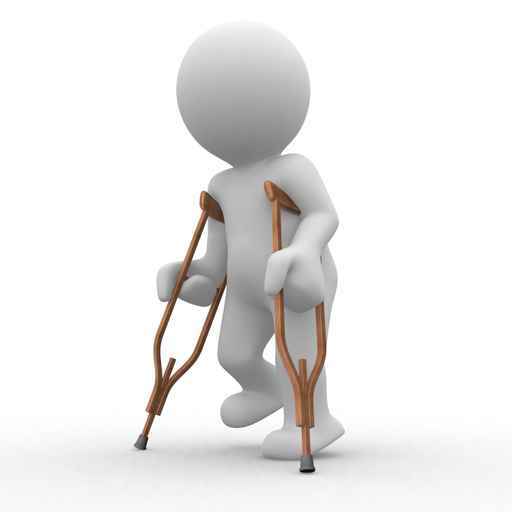 Titled “A Literal Epidemic of Crutch Words“, the article highlights words and phrases that we tend to use loosely, both in formal and informal conversation. Going through the list, I couldn’t help but think that writers are not exempt from leaning on crutch words and phrases. Here are some of the phrases/words that I see often – and might have a beef with. In fairness/to be fair. The thing about life is, nothing is, though your sense of justice in in the right place. But also, why be fair? Just be sure of what you want to say. There’s more where those phrases came from, but be prepared to feel a sting or two if (when?) you see your crutch word/phrase made fun of. The truth hurts, but the chances are you have you own set of phrases and words that you automatically use for certain scenarios. I think I have dwelled on this topic before, and I am the first to cringe whenever I see myself overusing words such as “actually”, “truth be told”, “at the end of the day”, and “awesome”. What does it mean if you use crutch words? I don’t think it means you’re a bad writer. It probably just means you need to read more, shake up your writing a bit, and stop working on autopilot. That’s what I have been telling myself all day! 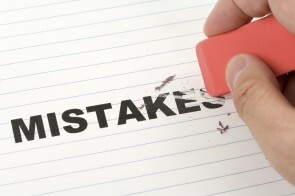 Mistakes That I Sometimes Make…Do You Make Them, Too? To be human is to make mistakes. That’s an undeniable thing, but that does not mean we can always use use the excuse. However, if we are aware of our mistakes, we always have the chance to correct them. For this week’s grammar guide post, I’m going to share some mistakes I sometimes make. Often, I catch those mistakes – thanks to proofreading. Sometimes, carelessness gets in the way, and I just have to take criticism on the chin. Tell me if you make these mistakes, too! It is embarrassing, but I when my fingers are flying all over the keyboard, it is rather easy to interchange these two. Admittedly, I have to sometimes pause to make sure I get it right. My trick is to find the association. Do I need a pronoun for “he”, “she”, “it”, “we”, or “they”? In that case, “who” does the job. On the other hand, if I am dealing with “him”, “her”, “us”, and “them”, then I know I have to use “whom”. Everybody must complete their assigned task. Everybody must complete his (or her) assigned task. This is another very embarrassing mistake that seems to happen to me more often on Twitter. Sometimes, I hit the “tweet” button only to realize that I have made this typo. (I prefer calling it a typo because I know what’s right and wrong but just get careless at times.) I’m sure you’ve had this experience once or twice! We all know the difference. “It’s” is a contraction of “it is”, and “its” is used to refer to possession. I have extensive experience with this topic, and I have to admit that more often than not, I make this mistake on purpose. No excuses. Just pure bullheadedness when I feel the structure suits the topic, tone, and target audience. It happens very rarely, though. Now that I have bared my soul and confessed my humanity to you, would you do the same and share your weaknesses as well? Earlier this week, I was working on another piece about TED talks. I don’t know if you’re familiar with TED, but the premise is to invite select speakers to speak to a limited audience, with the condition that the talk is focused on something inspiring related to the work the speaker has done. Since its inception in 1984, TED has grown phenomenally. Thousands of talks have been held, not counting those from independent events called TEDx. To learn more about TED, visit their site. So why did I start a grammar guide entry with TED? While writing that piece, I found myself – unsurprisingly – browsing the immense collection of talks. Just as unsurprisingly, at some point, I was looking at talks related to language and grammar. When I saw the title “What Our Language Habits Reveal”, I knew I had to watch the talk, and I as I watched and listened, I also knew I had to share it with all of you. Steven Pinker is a man of many hats: experimental psychologist, cognitive scientist, linguist, and popular science author. This particular talk of his, given sometime in 2007, takes a look at how our choice of words, sentence structure, and verbs give a glimpse into how we think. I won’t give you a full transcript of the video, but instead, do take about 18 minutes of your time to watch and listen. I think that the talk will not only help you analyze how you speak but also how you convey your messages in your writing. Whether you agree or not with Pinker’s assessments, why not share your thoughts with us? Texting and Grammar: Is There Really a Correlation? Ever since SMS or texting became commonplace, complaints about its many adverse effects have come up. I am sure you have experienced meeting with people face to face, only to have some (many?) of them stare and fiddle with their phones the entire time. You may have even been guilty of this now and then. There is also the issue of grammar and how it has degraded, thanks to texting. Without putting too much thought into the matter, it is easy enough to understand how texting may have contributed to poor spelling and improper grammar. After all, it can be tiresome to type on a small screen, and with the character limits, many things get left out. Punctuation is ignored, and words are shortened. Is texting really to blame for poor grammar these days, though? I’ve been doing some reading on this and found two very different points of view. 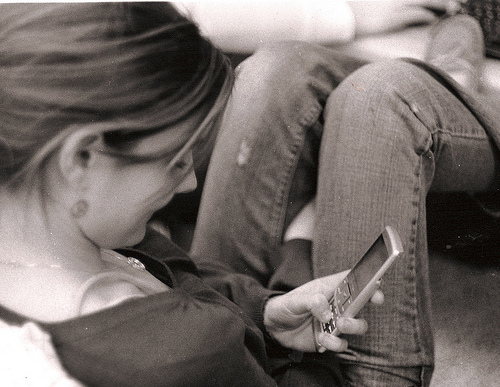 First, I read this article by Jessica A. Johnson: “More texting = more grammar errors“. The article’s main point is clear from the get go: people (students in this particular case) who text a lot tend to get lower scores on grammar tests. This is the finding of a study conducted by S. Shyam Sundar and Drew Cingel from the Pennsylvania State University. On the other hand, across the ocean, another study says that spelling, grammar, and the understanding of English of students are NOT affected by sending text messages – even if they use “text speak”. The study was conducted by researchers from Coventry University. I am no expert, but I think that there is more to the decline in grammar than texting. Sure, I will not discount the possibility regular text speak usage degrading grammar. However, there is also the aspect of proper support and guidance outside of texting. Think of it this way. I might shorten words, not observe proper capitalization, and drop punctuation marks when chatting with friends about going out on a Friday night. That doesn’t mean, however, that I will not go to great lengths to ensure that I write properly when composing a letter of interest or an article for this site. The nitpicker in me is screaming now, though. If I ever have kids, they will not use text speak if I have anything to do with it! What are your thoughts on texting and grammar? I love idioms! I speak only two languages fluently, but I do have a proclivity for learn idioms in other languages. That’s not to say that I remember all of them, but idioms are a wonderful way of gaining insights to a culture as well. We have a lot of English idioms, and many of them are inspired by technology. The thing is, we all know very well that technology advances very quickly. Many things we considered hi-tech as kids may not be “extinct” and unknown to today’s children. What happens to the idioms tied to tech then? Last month, PCWorld published an interesting article that got my attention – Idioms Lost to Tech. ((Idioms Lost to Tech)) They listed down 20 tech idioms that are in danger or already extinct. I applaud the concept, but I am not sure about the labels they use – in danger or extinct. 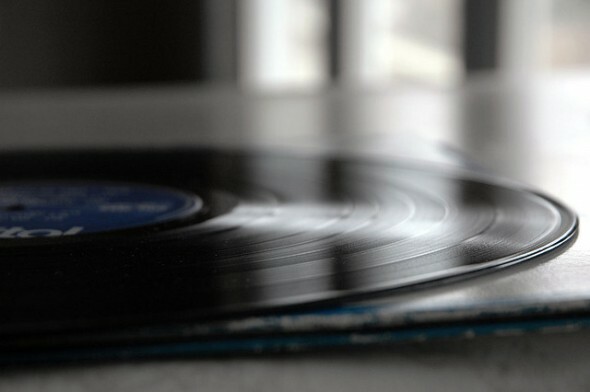 For example, the first idiom cited is to “sound like a broken record“. Many of the kids today (especially those who are not yet in their teens) might not have held a vinyl record in their hands. I don’t even remember the last time I did that myself! This idiom is definitely rooted in old technology, although I would not say it is extinct. Then again, it is understandable if the idiom does go out of use simply because its roots are not in circulation anymore. I do think, however, that it will not go away for quite some time, as it is still used a lot and it is easy enough to explain what a record is. What do you think? Another technology-inspired idiom is “Kodak moment“. It used to be that photography was synonymous (or almost synonymous) to Kodak. Then other players came into the picture. Recently, though, we all heard about Kodak filing for bankruptcy. This indeed might not bode well for the idiom in the long term. Do you think it would change to “[INSERT POPULAR CAMERA BRAND] moment” instead? The idiom “cog in the machine” came to mind as I was reading the article. With the average person not being exposed to cogs, machines, and what have you these days, this idiom may very well die out. Maybe someone will come up with an expression about chips in the motherboard or something like that? Truth be told, I do not think we can overlook the fact that language is dynamic, and with these idioms being connected to technology, which is even more dynamic, the possibility the idioms falling prey to not being used is very real. Then again, if putting messages in a bottle is still understood today, who is to say that broken records and Kodak moments will not be understood by our children and their children as well? To OMG or to LOL? Have you heard about the latest updates to the Oxford English Dictionary (OED)? For people in our line of work, this might be old news, but let me share it with you nonetheless. 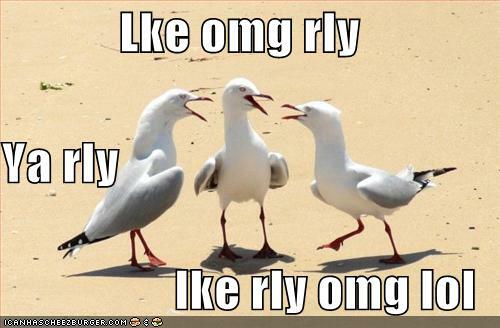 On top of OMG, the editors of OED have also decided to include LOL (laugh out loud) and FYI (for your information). For some reason, I am having an easier time accepting FYI. While many of us probably use LOL online when chatting or leaving Facebook comments, I cannot imagine anyone using LOL at work – unless you take on a writing gig that involves leaving comments on Facebook. I don’t know about you, but when I first heard about the inclusion of these words in the OED, I really didn’t know whether I had to say “OMG!” or to go “LOL”. Next thing we know, we’re going to have IMHO and TMI in the dictionary!